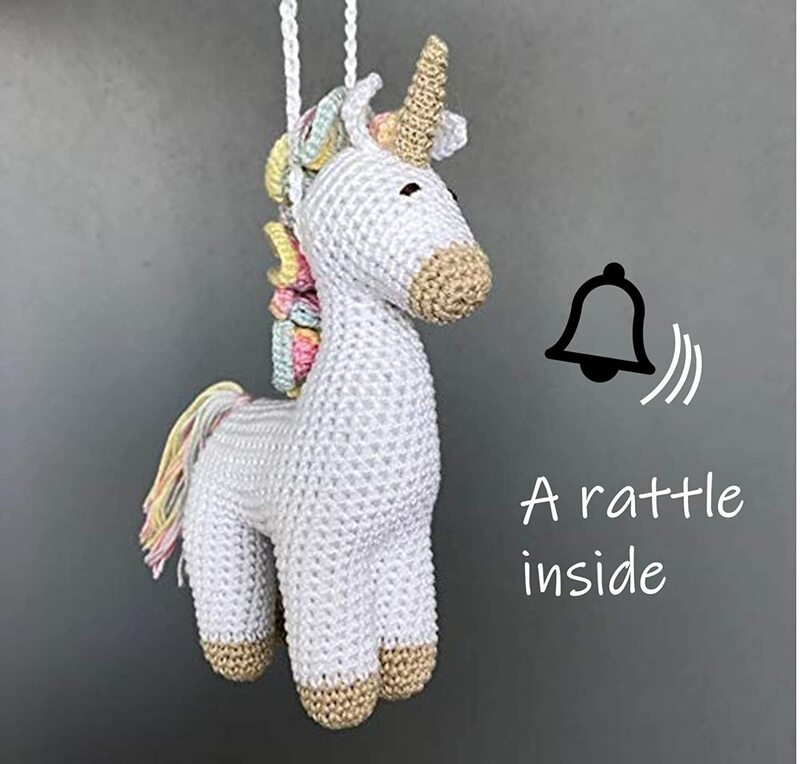 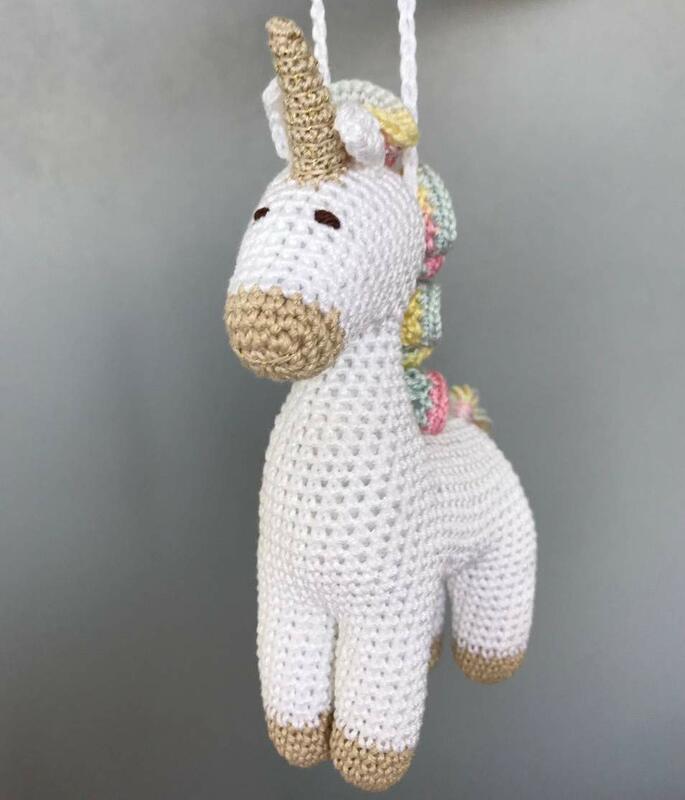 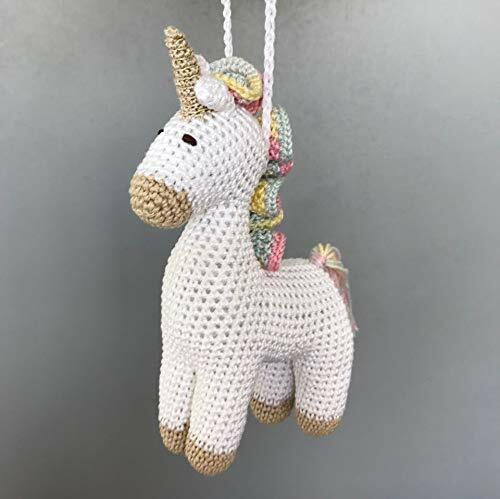 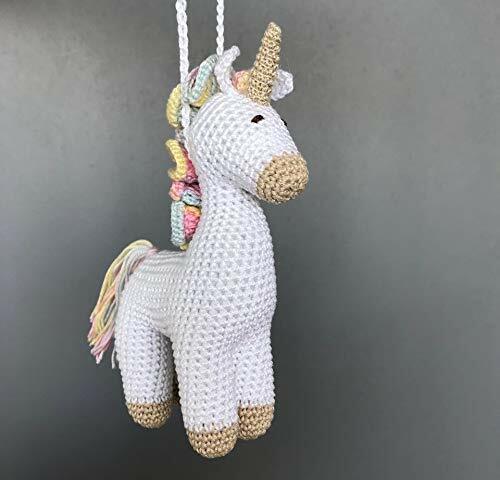 The unicorn is lovingly hand crocheted from high quality 100% cotton yarn, stuffed with polyester filling and has a rattles inside. 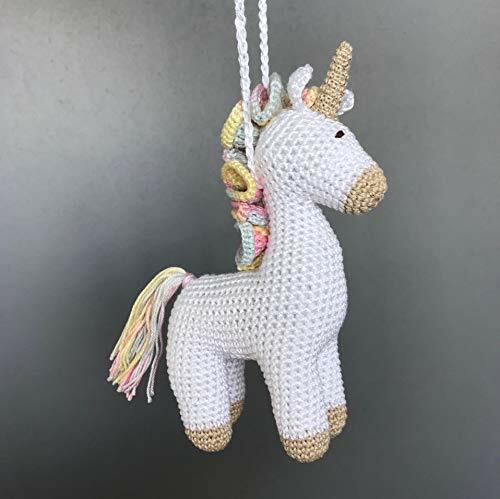 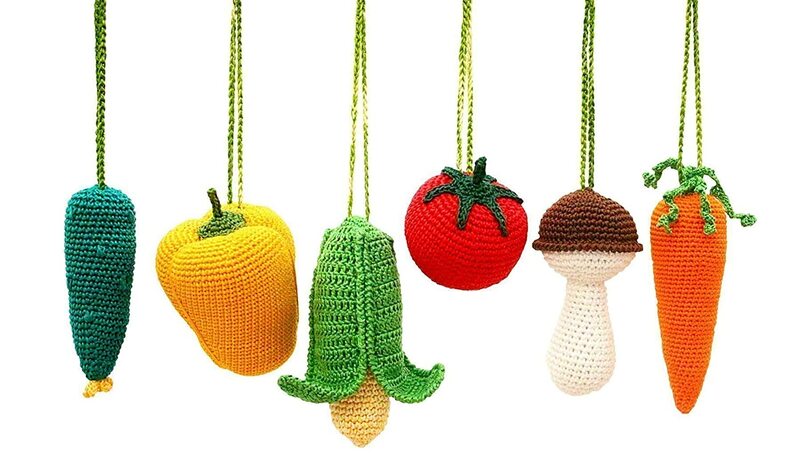 The crochet items itself (without loops for hanging) measures 6" (15 cm). 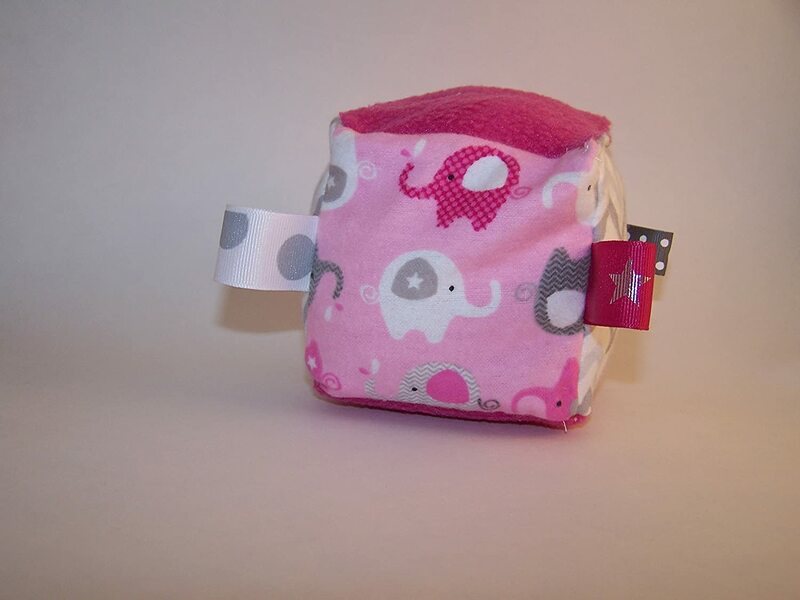 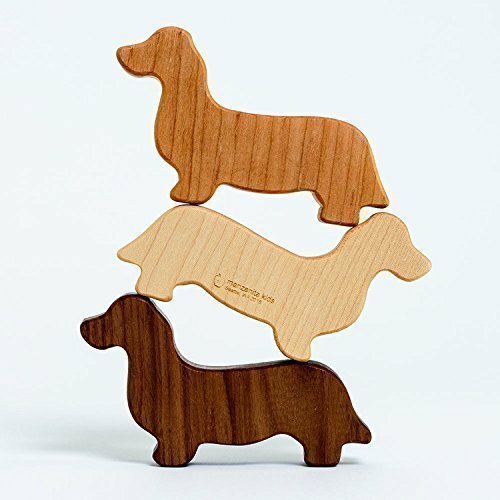 The loop for hanging is 20 cm long.